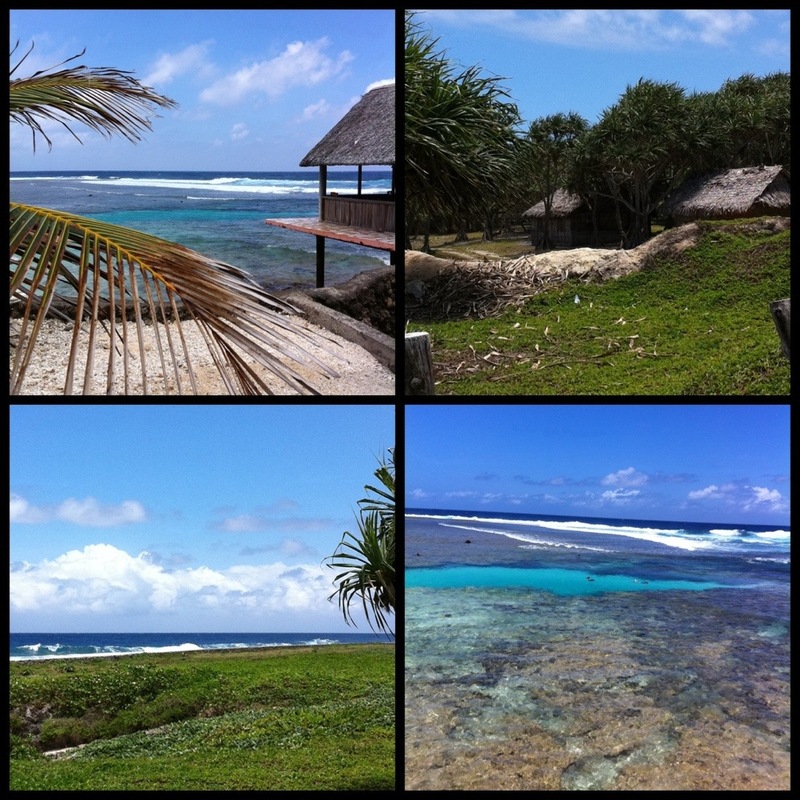 Vanuatu…today turned into an adventure day! Climbing a waterfall was just the beginning of my action packed day in the South Pacific! Vanuatu is renowned for it’s natural environment and boasts coral seas abundantly full of marine life! Snorkeling and Scuba Diving are world class and very special here. I am not a scuba diver, but I am game today for some sort of “soft adventure”! Turtle Bay is a marine sanctuary that is teaming with incredible sea life in a coral reef that appears like a bright blue spot of heaven from ashore. There is a community here that lives in grass huts along the shore who help care for the sea’s fragile creatures. That includes raising delicate sea turtles. 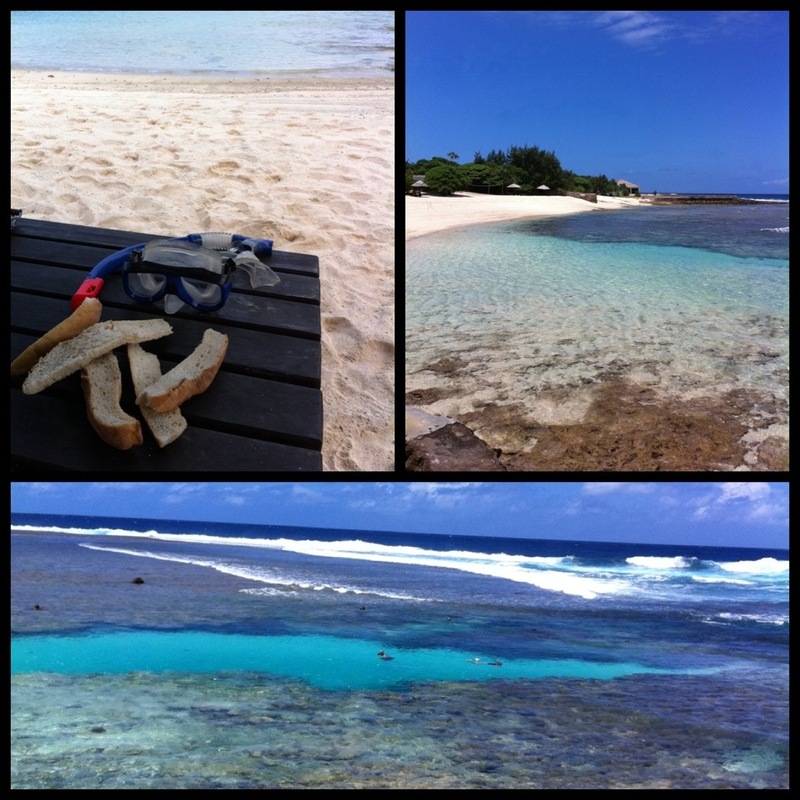 One part of the beach has a sheltered coral swimming hole teaming with shark and large turtles! 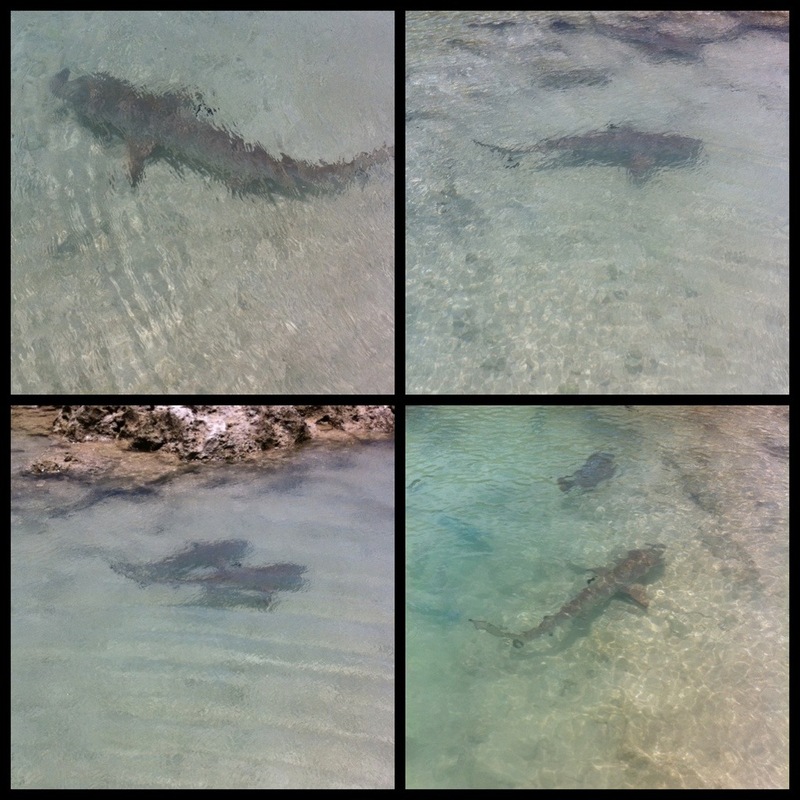 I am encouraged to dive in to swim amongst these small friendly sharks and feed and ride the large turtles! What?!?! 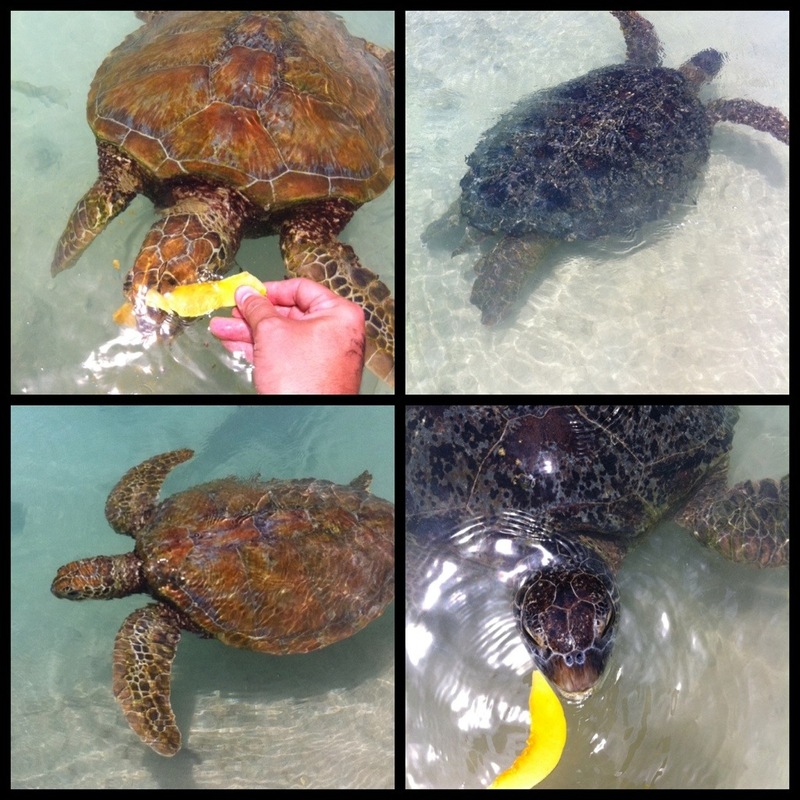 I am handed some fruit and in I go…these grand turtles race toward me ready to feast! I hold the fruit slices out and the turtles go for it….I hear a scream “watch your fingers!” from one of the natives watching me! I get more comfortable until I can go actually go full on swimming amongst these magnificent creatures…the shark couldn’t be bothered, but the turtle allow me to ride their shells! What a rush! Well I tried but I guess I am not too brave…but I will remember this the rest of my life! What a cool experience on this remote island a world away from home! « Older Post Water without Falling! » Newer Post Tiki Time! I never knew I wanted to do it, but it was definitely super cool! Wow. Officially on the list.